A month after being passed over for another term on the Election Assistance Commission, Matthew Masterson will be heading to the Department of Homeland Security to tackle election security issues. Masterson will serve as a senior cybersecurity advisor within the National Protection and Programs Directorate within DHS. Acting NPPD undersecretary Christopher Krebs announced the move in a March 26 statement. 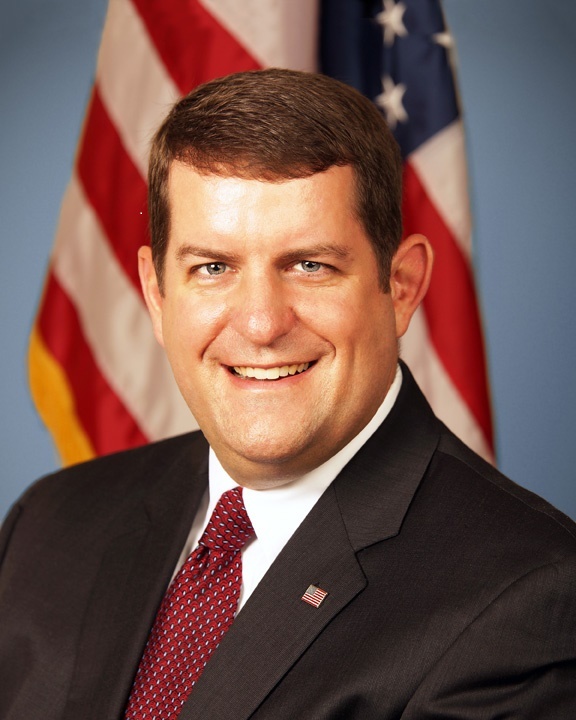 In addition to his expertize on election security issues, Masterson spent the past year working closely with DHS officials after the federal government designated election infrastructure as critical infrastructure and has already built relationships with many state and local administrators in the lead up to the 2018 mid-term elections. Krebs made it clear that DHS — which has at times encountered skepticism and pushback from state and local officials worried about a federal takeover of the election system – will draw on Masterson’s background. Strengthening election security by working directly with state and local election officials across the nation, federal partners such as the Department of Homeland Security (DHS), academic experts and private industry leaders. Our work together to enhance election security and help make DHS’s designation of election systems as part of the nation’s critical infrastructure opened up important lines of communication and fostered innovative solutions to emerging challenges. Creating the next generation of principles and guidelines that will serve as the future foundation for the EAC’s election system testing and certification program. As the Designated Federal Officer for the Technical Guidelines Development Committee, it has been an honor to work with the EAC’s partners at the National Institute of Standards and Technology (NIST) and our diverse set of stakeholders and partners to develop the Voluntary Voting System Guidelines (VVSG) 2.0. These new guidelines are designed to spur innovations that allow local election officials to give voters the best experience possible, and will ensure improved accessibility, security, accuracy and auditability of voting systems. When the EAC’s Standards Board and Board of Advisors meet next month, members will review and provide feedback on the new guidelines. They will then go out for a 90 day public comment period and then be poised for enactment once a quorum of commissioners is restored at the EAC. Meeting voters from across the nation and directly engaging with voters who face a variety of challenges at the polls has been a highlight of my career. From speaking with soldiers and their families on military bases throughout the country to participating in important forums with voters championing accessibility for those with disabilities or Limited English Proficiency, I’ve gained new perspective on the importance of creating an election system focused on increasing access to the polls and will carry that awareness with me moving forward. Of course none of this work would have been possible without the incredible commissioners and staff at the EAC. Their tireless and selfless service has made the commission an invaluable resource to election officials and voters across America. We have accomplished so much in the last three years, and I am proud to have served with each one of you. It has been an honor to work alongside you, learn from you, and laugh with you every day. I thank you for your continued commitment to voters and election officials. Last but not least, I want to thank the election officials from across the United States with whom I have had the pleasure and joy to work with and learn from throughout my career. You are tireless servants of democracy. With limited resources, the constant pressure of the next election and very little margin for error, you constantly impress me with your professionalism, commitment and service to your voters. So let me say something that you so rarely hear, THANK YOU! Thank you for all that you do to protect our most precious right. One thing I have said everywhere I’ve gone over the last three years is that the best part of this job was getting out of Washington, DC to see all of you. I am grateful and humbled by all that you have done for me, the EAC and the country. My sincere appreciation for election officials is why I am so thankful to continue my service to our great nation at the Department of Homeland Security as a federal liaison with the election community to improve the security and resilience of the election process. I am excited for this incredible opportunity and look forward to starting this new chapter in election work today. This is incredibly good news. As I said on Twitter yesterday, Matt deserved much better than what he got from Congress while at the EAC; fortunately for the election community, he got exactly what he deserved from DHS – a place where he can continue to use his considerable skills (and good humor!) playing a key role in protecting our nation’s elections. 1 Comment on "Matt Masterson Moves from EAC to DHS"
Indeed a very good article.